Can Electric Ltd. Is complete resource for all of your electrical needs with experience, professionalism and dedication to you. 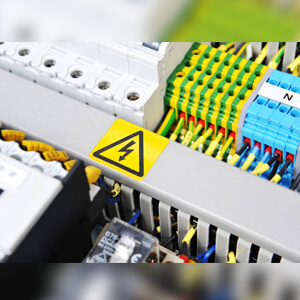 Are you Looking for electrical contractors in Edmonton that are able to offer you a safe Electrical Installation Service and repair. Can Electric ltd, has experiences and specialized knowledge in all aspect of electrical contracting. its insured and bonded and is member of the Better Business Bureau, with best quality electrical services, installation and maintenance. We strive to provide the high quality electrical services in Edmonton and area. We also have liability insurance with $2,000,000.00 coverage to protect your interests. All it takes is a quick call from you, to have our electrical estimator visit your Edmonton home and business. We look forward to providing you with some of the best electrical services in Edmonton. With over 20 years of professional electric service that can be counted on to provide excellent electrical services with fair prices. 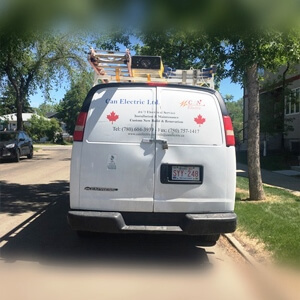 As leading electric contractors in Edmonton, we are able to provide quality electric service, while ensuring cost-effective rates for our valued customers who are served by our electricians in Edmonton. Trust the name that has provided excellent electric service to Edmonton, full-service electric contractor, Can Electric Limited. We are your local Electrical Contractor in the Edmonton area. 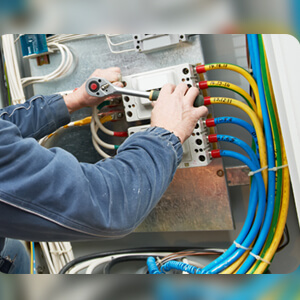 Our professional electricians will provide you with a quality service when you need it. Can Electric provide all type of electrical services for homes and businesses. We believe in relations and tries our best to make customers happy with safe procedure of work and quality that you count on (24/7 Electrical services). Our services and installation are done promptly and safely. Can Electric Ltd as electrical contracting in Edmonton, offer the best electrical services and installations for residentials and commercials. Our electrical contracting Edmonton -based provide quality service to Everything, from spanning breakers, fuses, lighting, maintenance, and more, that is, why our Electrical Service in Edmonton Works For You and as our reliability to get your electrical job done, makes us your obvious choice. Can Electric Ltd, exceptional technical personals understand the electrical industry and its needs for custom design electrical services for your project. while providing 24/7/365 electrical services with professionalism and dedication to take care of all your electrical installations, services and maintenances. Can Electric Ltd, is a local, electrical services specialist. with a wealth of electrical installation and maintenance experience to help customers receive best possible electrical services. offering solutions for almost any residential and commercial electrical services and installation applications. Can Electric Ltd, take pride in running a trusted and respected electrical business that is, Licensed, Insured, BBB accredited with A+ rating and WCB. And committed to provide Electrical services for all your electrical Repairs, Maintenance and New Installations with customer satisfaction as number one priority. 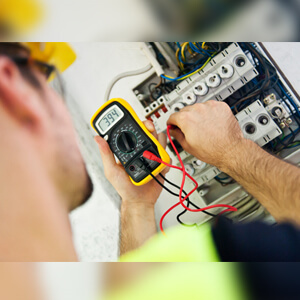 Can Electric stuff will explain to you all possible solutions to ensure the best possible safety for your electrical systems and examining your electrical systems, electrical wiring, electrical device and electrical panel to check that everything is electrically safe, with an emphasis on client’s safety and Satisfaction. We are committed to provide higher qualities electrical services and installations. Our installations and wirings are according to Canadian Electrical Code and Alberta Electrical Regulations. And we operate our business based on principles of customer satisfaction and high quality electrical standards. Specialized Electrical Services, Installation & Maintenance for commercial and residential in Edmonton. We install all electrical devices, light fixtures, switches, plugs and power lines and power equipment’s and electrical service for commercial and residential services. We do all types of installation, maintenances, services and wiring.